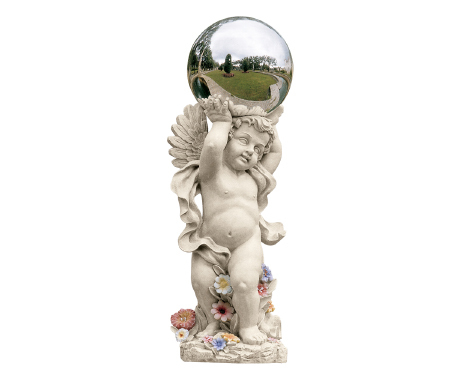 8-inch metal gazing globe reflects the ever-changing 360-degree splendor of your garden. This Design Toscano-exclusive angel figurine, cast in quality designer resin with a faux stone finish and hand-painted flowers, is perfect for home or garden. Another quality Toscano garden angel statue.